In 1943 on the evening of the 7th of January, Guru-vara (Thursday) sacred for worship of Baba, a miracle happened! A shining and lustrous Cobra small in size but possessing an unusually big hoad with divine marks of Tripundra, Shanka and Chakra appeared before Baba’s picture when the Bhajan was going on in full swing to the accompaniment of drum cymbals etc., with all the lights on. The Naga stood there in a pose of worship fullness entranced in Baba Muisc! Waving of lights, aratis etc had no effect on the nerves of the Cobra. People around who had swelled into a crowd of a few hundred stood there in awe and wonder at the wondrous sight of the Naga with spread head. There was no fear for the snake; the proverb that even a battalion of soldiers of valour shiver at the sith of a cobra was falsified young and old, women and children in thousands began to pour into the spacious land of the Bhajan Madam to witness the Naga that lingered in the same spot for 36 hours Baba bhaktas began to shower baskets after baskets of flowers in worshipful reference for the Naga. The Cobra was virtually submerged in a mound of flowers but even then, he was unmobile were performed for the Naga. On the second day of Naga’s advent, photographer came to take a picture of the Naga in its majesty but the latter was immersed under heaps of flowers. No one had the courage of go near the spot where the cobra ws lodged and clear the flowers. The only course open to them was to pray ho! 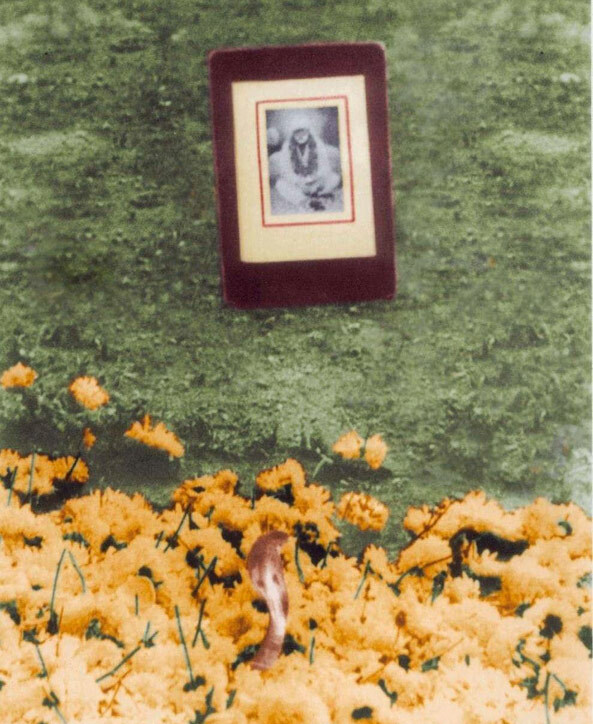 the Naga jumped out of the flowers heaps and posed for the photograph as if in answer to the prayers of the multitude. One and all were sure for the first time that it was all the week of Sai Baba. The devotees then prayed with fervour and faith to the Naga to clear out and enable them to resort to their routine worship of Baba in the Madam. Then the immobile Naga showed signs of movements went around Sri Sai Baba’s picture and slowly marched out into the open disappeared into bush where later an ani-hill (snake’s natural habitat) appeared. 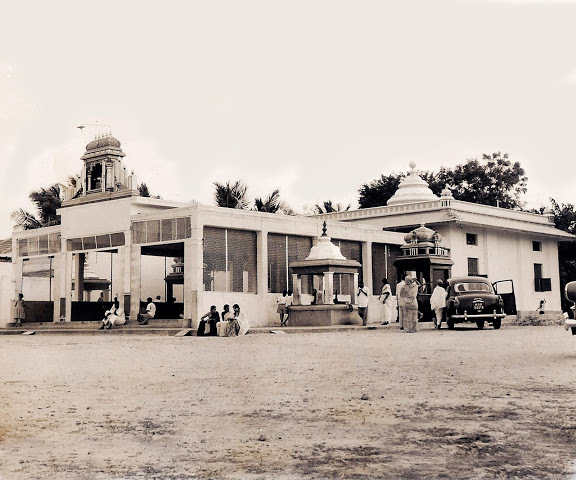 The place where the Naga disappeared in held as a ‘Holy Ground’ by devotees and from that day onwards Shirdi Sai Baba in Coimbatore is worshipped as “Sri Naga Sai”. 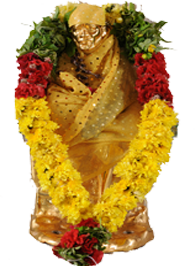 Advent of ‘Sri Naga Sai’ was published in Holy Book Shri Sai Satcharita Tamil, Chapter 35. 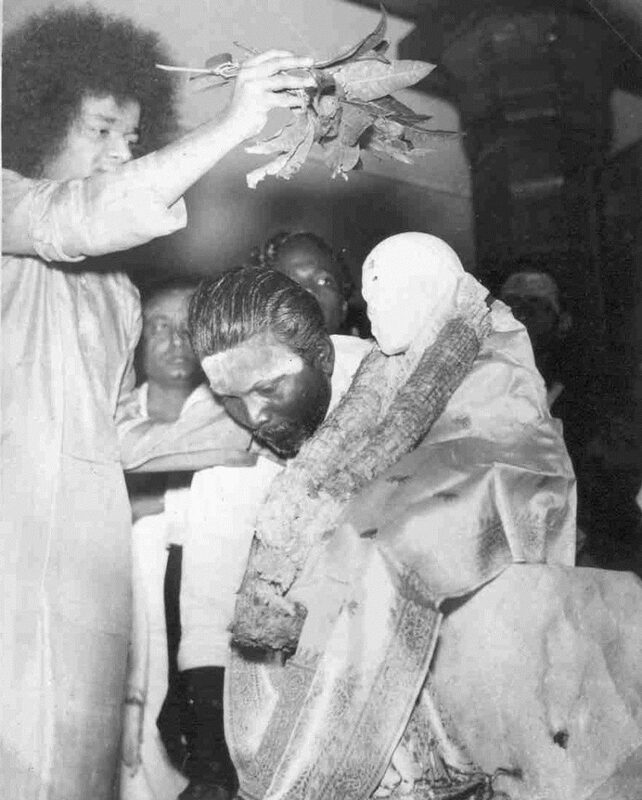 The Shirdi Sai Baba ( Sri Naga Sai ) Marble statue of the deity, This is only statue was installed and consecrated in 26-02-1961 by Sri Sathya Sai Baba during his life time. Another speciality of this mandir is that the stick that has been used by baba has been brought from shirdi. The holy stick is being used to bless all devotees who visit the shine.